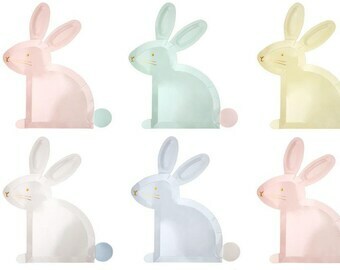 Create Easter themed cookies with these delightful cookie cutters in bunny, chick, rainbow, flower and egg shapes. These stainless steel cutters come in a charming presentation box. 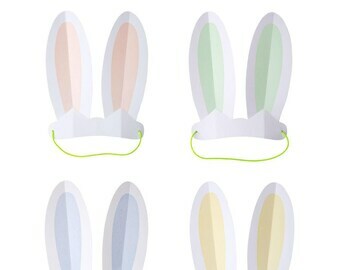 These cookie cutters will make your cookies the hit of the Easter party, Easter egg hunt, or Easter brunch! And for more fun party supplies, please check out the rest of my listings at https://www.etsy.com/shop/CohassetPartySupply . 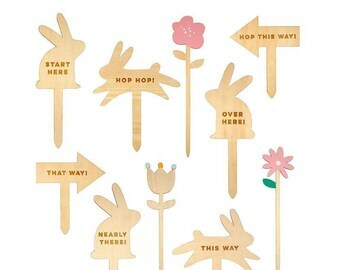 Peter Rabbit Party Picks, Set of 24 Beatrix Potter Party Picks from Meri Meri, Great for Easter parties and Easter brunch! 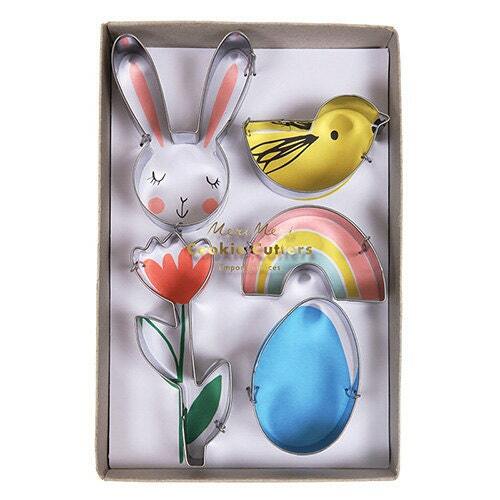 Easter Cookie Cutters - Includes 5 Meri Meri Easter Cookie Cutters in Bunny, Flower, Chick, Egg & Rainbow Shapes- Great for Easter Parties! Confetti Candles, Set of Meri Meri 16 Tall Rainbow-Specked Birthday Candles, Fun Touch for a Birthday Cake! Small Beatrix Potter Peter Rabbit Plates - Set of 12 Meri Meri Small Square Easter Plates with a Scallop Edge- Great for Easter parties! Construction Truck Paper Plates - Set of 12 Meri Meri Big Rig Party Plates - Great for a construction truck themed birthday party!